Trading in the foreign exchange market is certainly a speculative play and it’s no wonder that it’s the largest traded market in the World, by miles! You need to know how and where to invest your money wisely and also pay attention to effectively managing your risk. There are many successful forex traders who have all used differing methods to achieve success. What strategy you choose to adopt is completely up to you. If you don’t stay down to earth by investing your savings wisely and with detachment, you may unfortunately blow your investment pool before you’ve even found your way. Obviously you have to be careful and not excessively invest everything at once, gradually tranche your investments and try to take advantage of compounding so that you can make your initial investment cash continuously increase and work for you. Good forex traders have been found to have great concentration, patience, discipline and through experience they avoid making suffering significant losses and making major mistakes in judgment. This is because they have homed into their niche and have a tried and tested method that they know backwards. 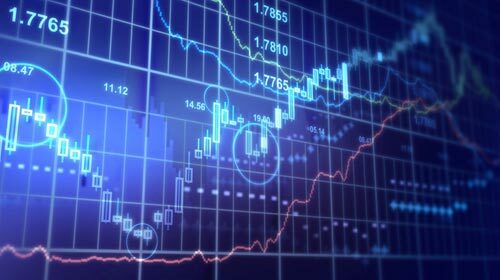 More Information on what makes a good forex trader can be found here. It is advisable to avoid the use of too much leverage, it’s often too easy and tempting to margin yourself up to the high hills in the anticipation of realistically making big gains very quickly, however just because things are possible according to your level of experience you need to determine how much leverage and how fast you want your positions to move. It’s often best to keep it simple when it comes to Forex trading. As a beginner it is more advisable to follow the general direction and not to anticipate the course of a currency without paying attention to indicators that are provided by the trading platforms. A big feature within all currency trading platforms is the “stop loss” this is often the traders friend so it’s always good to familiarize yourself with this feature as soon as you get your hands on a new platform, automatic stop losses, trailing losses, guaranteed stops, many brokers have different terms regarding their stops so it’s important not to overlook this protection when choosing a trading platform. While these tips are only scratching the surface by continuously educating yourself, trading different currencies and finding your way, you should eventually succeed.